South Durham Gymnastics operate from a waiting list for each of their recreational classes. Parents/guardians are required to enrol their child online (https://members.southdurhamgym.co.uk/register) and select the classes they may wish to attend. When a space becomes available in the appropriate class, an email invitation will be sent. To guarantee the space in the class, the invite must be accepted, and invoice paid (see further details below) before the invite expires; failure to complete this process fully will result in the space being offered to the next person on the waiting list. Recreational sessions run in 10-12 week blocks, and full payment (amount displayed on the invoice) must be paid by the prescribed deadline to secure the space. Sessions continue to run through Half Terms, but break at Christmas, Easter & Summer. Block fees will take account any sessions that won’t run, and session dates, alongside exact payment deadline dates will be communicated in the invite emails. If a gymnast joins part-way through a block, the amount due for the rest of that block is adjusted to take account of the missed weeks. Payment can be made online (following the instructions in the invite email), over the phone (01388 811877) or in person (via cash/card) at the Gymnastics Centre Office. At the beginning of week 7, all existing recreational members are invited to sign up to the next block of sessions; at this point, members are given the option of moving into any recreational class of their choice (age permitting). Failure to accept the invite and pay for the invoice within the prescribed timeframe will result in the space being offered to someone on the waiting list. After this, SDG cannot guarantee the child a space in any class, and the child may need to go back onto the Club waiting list. SDG is under no obligation to refund or transfer your money if you are unable to attend part of or the entire course, however, we will do our best to accommodate refunds, should your child not wish to return to their sessions. 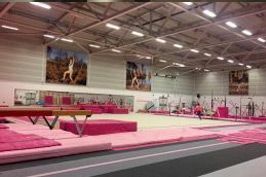 Should your child suffer an injury which means they cannot attend the remainder of their gymnastics/trampolining sessions (e.g. broken ankle), SDG will hold the space and provide you with an appropriate discount code for the next block of classes. We regret that we are unable to offer an alternative for missed lessons. Unfortunately, what seems like one simple request is an impractically huge administrative task when spread across hundreds of SDG members. Private lessons are offered throughout the Easter and Summer holidays and are bookable via the South Durham Gym website; the fee is paid online at the time of booking. Should you wish to cancel your private lesson, you will be refunded the cost of the lesson, less a cancellation fee. We do not offer refunds/an alternative lesson should you miss the session. South Durham Gymnastics offer a range of holiday camps throughout the Easter and Summer holidays for members and non-members. The camps vary in discipline and in duration, therefore the cost of each camp is different. Spaces for all camps must be booked and paid for online, via the South Durham Gym website. SDG do not offer refunds for Holiday Camps. South Durham Gymnastics offer Star Achievement Days to its existing members. Star Achievement Days are bookable and payable online, on a first come first serve basis. SDG do not offer refunds for Star Achievement Days. A deposit will be taken over the phone/in person at the time of booking to secure the party slot. The remainder of the balance is to be paid by cash to the diner staff on the day of the party. Party Cancellation: Should you wish to cancel a party, you will be charged no additional fee; however, you will lose your deposit. Change of Date: Should you wish to change the date of your party, we will take an additional deposit to secure the new date. When/if we manage to fill the other party space, you will be refunded your initial deposit (usually we take this off the final balance payable on the day of the party). Gymnasts attend squad sessions through invite only. There are no additional fees for squad trials. Monthly fees are applicable for all squads and are to be paid on the 1st of the month by Standing Order. The fee for each squad is different and is confirmed via letter upon joining the squad. Upon receipt of written notice (via email) advising a change in payment is required (e.g. increase/decrease in monthly fees due to a change in squad), the standing order must be altered within the prescribed timeframe. Over payments will not be refunded; under payments will be invoiced and subject to a £5 administration fee each month. Members who do not pay their Club Membership Fee within the prescribed timeframe will not be allowed to train until it is paid. Invoices will be generated for competition entry fees, as well as leotards, tracksuits, fitness equipment (e.g. skipping ropes) and items such as chalk/tape. Invoices must be paid as quickly as possible; invoices still outstanding after 3 months will be doubled. Payment plans can be arranged if there is going to be an issue paying an invoice. Payment plans must be agreed in advance with the SDG Senior Management Team. Annually, on/around October 1st, each squad member must re-register with British Gymnastics (BG) and have the correct level of membership to suit their needs (as detailed below). Members and/or parents/carers must register gymnasts themselves for BG Membership on line with the GDPR regulations (we, SDG, are no longer able to do it on gymnast’s behalf) by visiting https://register.british-gymnastics.org/gymnet/register/registerstart or calling British Gymnastics on: 0345 1297129. BG membership must be completed by October 31st; anyone who does not complete their membership within this timeframe will be charged an administration fee by SDG, and training will not be permitted until the gymnast is appropriately covered by British Gymnastics. SDG will check that gymnasts have current membership and gymnasts will be refused entry to classes if they can’t provide proof. New squad members are required to take out British Gymnastics Membership upon commencement in a squad and have 1 week after their first squad session to complete this. As above, anyone who does not complete their membership within this timeframe will be charged an administration fee by SDG, and training will not be permitted until the gymnast is appropriately covered by British Gymnastics. SDG will check that gymnasts have current membership and gymnasts will be refused entry to classes if they can’t provide proof. Any squad gymnast who leaves SDG is required to give a one-month notice period. If a gymnast leaves prior to the end of the notice period, the one month’s fees will still be payable. It is the responsibility of the gymnasts’ parent/guardian to cancel the Standing Order; SDG will not refund any payments made beyond a child leaving the club.